Ingredients for delicious, nutritious Zucchini Pesto! Preheat the oven to 400F. Cut the zucchini into half lengthways. Grease a baking pan with a little of olive oil, and place the zucchini, cut side down, in the pan. Brush the zucchini with half tablespoon of olive oil. Roast zucchini for 15 minutes. Let the zucchini cool, chop into smaller pieces. They are going in the blender so no worries about uniform chopping. Gently squeeze out some of the moisture and then put the zucchini into the blender or Cuisinart. Add the garlic cloves, almond, and basil. Pulse until the mixture is blended. Add in grated Parmesan and olive oil. Season the mixture with lemon juice, salt and black pepper. 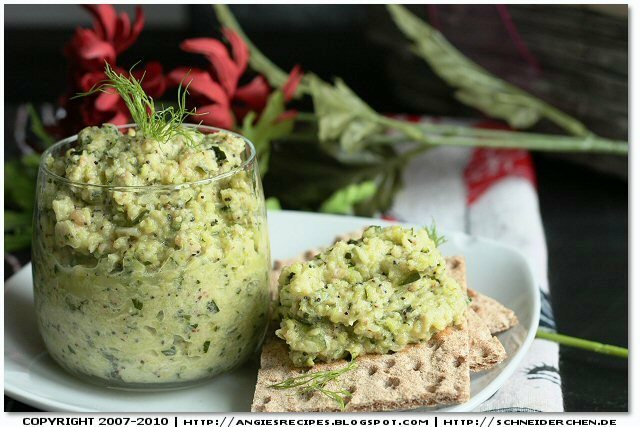 Serve with flax crackers. Whhhhat? Zucchini pesto is such a brilliant idea. I am going to make this the next time we have dinner guests as an appetizer.